B. Thomas (Arlington, Texas, United States) on 4 December 2018 in Animal & Insect. 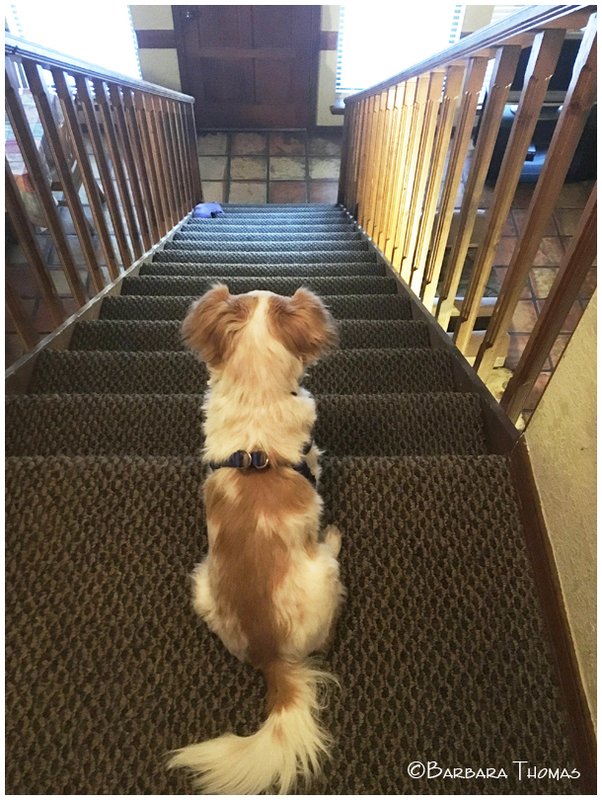 My friend's little dog, Bogie, runs up the stairs in the condo, but has to work up his nerve to run back down. @By Marie: He does, but he is much smaller. He is a mix, part papillon. Cute image ! He has to concentrate before the difficult descent ! Help! Where is the stairlift? Deep in thought, thinking about going down. Superb capture. super ! to be or not to be an heros ! Ah...That's a problem ...HAppy ST ! J'aime beaucoup ton angle de prise de vue ! The picture tells the story!! A cute storyline with a great PoV!! Happy Silly Tuesday! A sweet shot of this little guy. It does look rather intimidating! A very cute image! Happy ST! Very nice capture ! happy ST !